Feed all livestock natural diatomaceous earth (DE) at 2% of the daily intake and spray if needed with orange oil or garlic products. See diatomaceous earth for more information. Swimming pool or other treated DE should never be used. Spinosad products work well to control these pests. 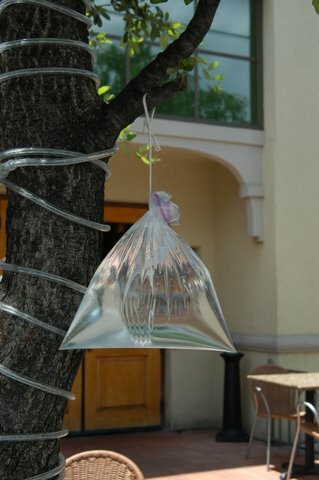 Hanging clear plastic bags of water also keep flies away.